Give the gift of food inspiration with a Price Chopper Sobeys gift card. 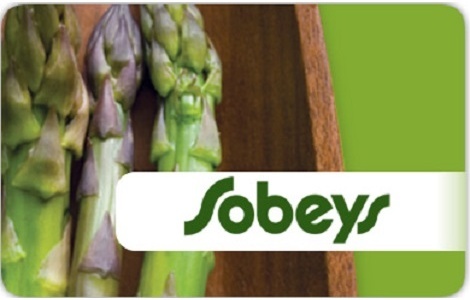 Use your Sobeys gift card as Price Chopper gift cards and save big! Sobeys Gift Cards make giving the perfect gift simple and effortless. Ideal gifts for friends and family who love to entertain, or just love discovering good food and good food ideas. Gift Cards are also redeemable at all Sobeys, IGA, Garden Market IGA, Foodland, FreshCo, and Thrifty Foods locations across Canada. (Please note, these gift cards are not accepted at Marketplace IGA locations in B.C.). Order your Price Chopper gift cards today! No value until activated. This card is valid at participating stores in Canada. Card can be used for all in-store purchases except as prohibited by law. Card has no expiry and no fees will apply. Check your card balance in store, at www.compliments.ca/giftards or by calling 1-800-832-0717. Reload online or at participating stores. Protect this card like cash. The value remaining on the card cannot be replaced if the card is lost, stolen, damaged or used without your consent. Card is not redeemable for cash except where required by law. See website for full terms & conditions and applicable product refund policy information.